Milk stains are a pain in the neck and always seem to come when you least expect it. Usually they come in the morning when you are in a hurry to get to work and are trying to wolf down a bowl of cereal as you head out the door. Then you get to work only to realize that you are wearing some of that cereal in the form of a nice little milk stain. If you are lucky the stain won’t be so noticeable, but most of the time there is no such luck. • Scrape away: Use the dull side of a butter knife to scrape away any excess milk that you see. The milk will dry crusty and by removing the crust you can better focus on the worst part of the stain which will be left behind deep in the fibers of the garment. • Rinse the stain: After you have scraped away as much of the stain as possible you will want to rinse the stain. Use cold water in this step and let it sit for a good twenty minutes. • Pre-treat: Using Dawn dish soap or some other type of pre-treater, apply a small amount in the middle of the stain and rub it in vigorously. Rub for about five minutes to ensure that the entire stain gets treated. You can also use a brush in this step if you prefer but again be sure that the entire stain is being treated. • Soak: Now without rinsing the pre-treatment, put the garment in a bucket of soapy cool water and let it sit for a while. If you want to you can soak it over night as the longer it gets to soak the better. • Wash: After removing the garment from the soapy solution and wringing it as dry as you can you can now launder the garment as you normally would. Once the load of laundry is done remove the milk stained garment and do not dry it in the clothes dryer with the rest of the load. • Dry the garment: Hang the garment up to air dry and ensure that you have successfully removed the milk stain. If you have then you can treat the garment as you normally would and if it is not then you will have to repeat the process until the stain goes away. 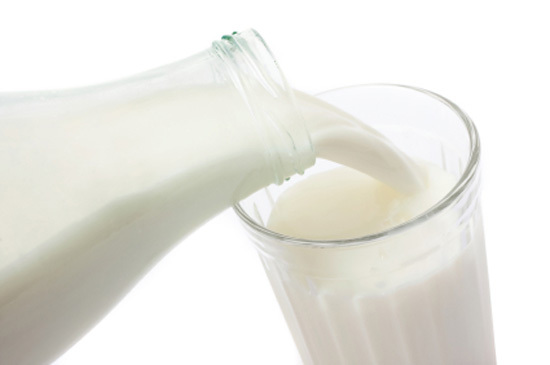 Typically milk stains are effectively removed after one or two treatments. Milk stains happen, especially when you are in a hurry or if you have kids. But if properly treated your garments will live to be stained another day and who knows, maybe next time it will be an entirely different stain that will challenge you further.